Home / Unlabelled / AFA X Details! There is so much more compare to last year! 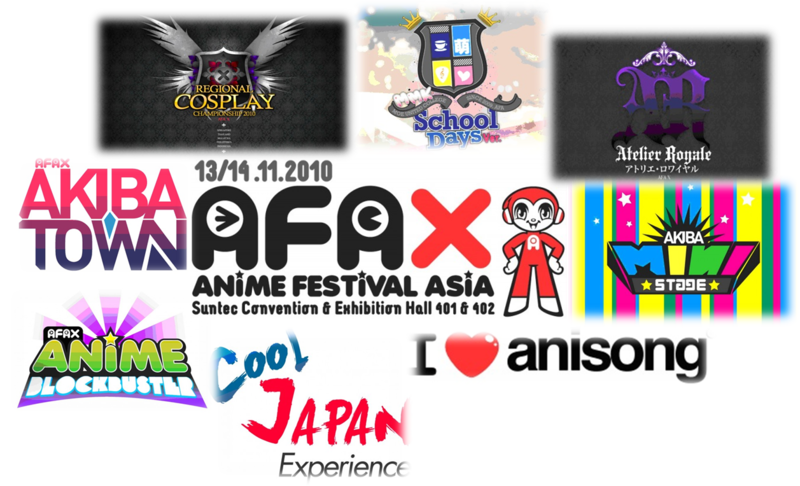 AFA X Details! There is so much more compare to last year! More updates will be updated once they are announced! do stay tune! 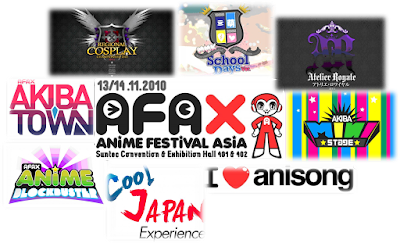 On Monday details of AFA X is finally unmasked to the public here are the Exciting details ! There will be Exclusive merchandise, such as Bandai’s Chogokin of the Mazinkaiser. Cospa will be bring in the Kadokawa World tour & also the Evangelion Store. Introduces a new maid, Moe-chan,also introduced is the Atelier Royaler Butler cafe. A mini stage where smaller acts are allowed, similar to how in Akiba people are allowed to perform. Seiyus of the upcoming Moeblob Tantei Opera Milky Holmes anime. Kana Hanazawa, the voice behind Kanade 'Tenshi' Tachibana in the anime Angel Beats. Danny Choo,he need no introduction! Kaname, who is like danny choo famous and coming for the 2nd year running. Bushiroad, Weib Schwarz Grand Prix Final round, where top players from Malaysia and Singapore will be competing to represent each country to Japan, where they will competing to be the Top WS player of the world. Regional Cosplay Championship 2010, where cosplayers from the region fights to be the best in the region. Now accepting registration, selected country representatives will be sponsored to compete in Singapore, where the Judge includes Kaname. I really want to watch Suzumiya Haruhi no Shoushitsu early than BD release. Damn... why November.